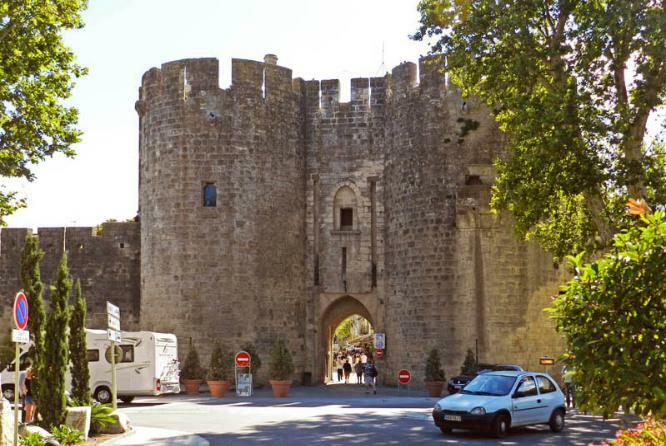 The main entry into the walled city of Aigues-Mortes. wine tasting. 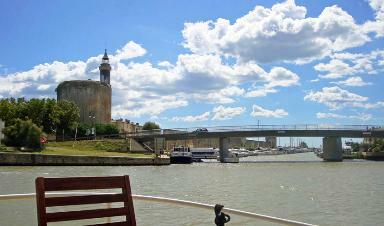 Beautiful place, excellent wine! and the Running of the Bulls in the evening! Canal du Rhône à Sète just north of Aigues-Mortes. 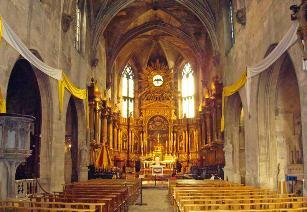 The beautiful golden Cathederal of Aigues Mortes. 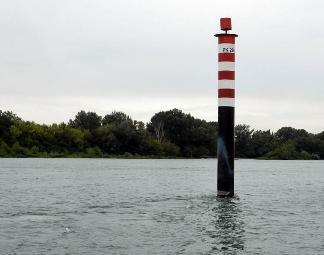 but only a hint those to come on the big Rhône River. 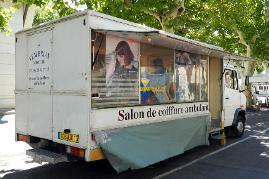 A Salon de Coiffure Ambulant in St. Gilles. The Bull Fighting Arena in St. Gilles. 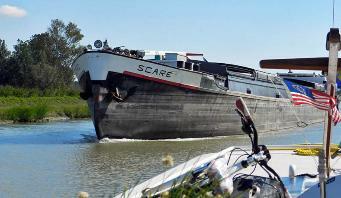 Next fight in Oct.
Docked with the barges in St. Gilles. 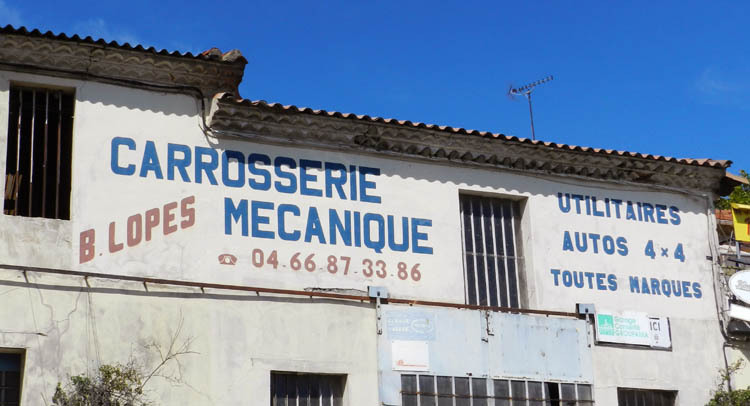 I've seen boulangeries and boucheries, but never a carrosserie! 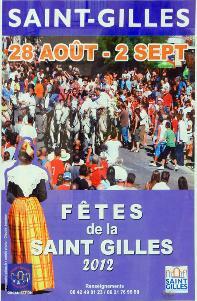 At 7:00 PM the Fête de St Gilles concluded with the Running of the Bulls! 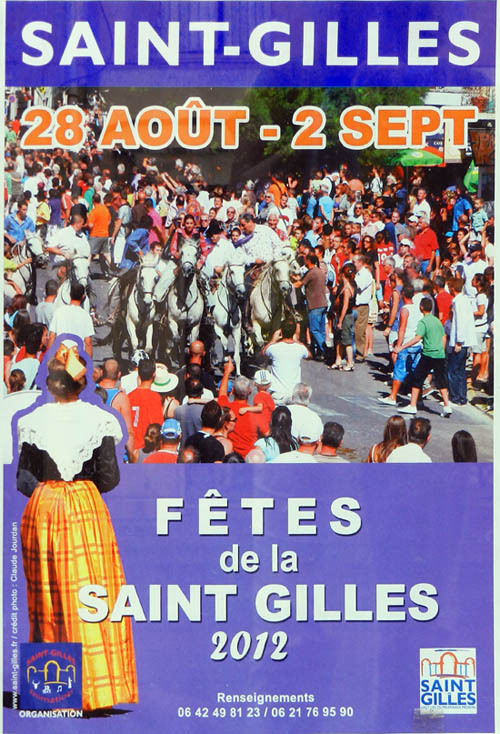 10:45 AM - Dep St. Gilles - we loved this place! 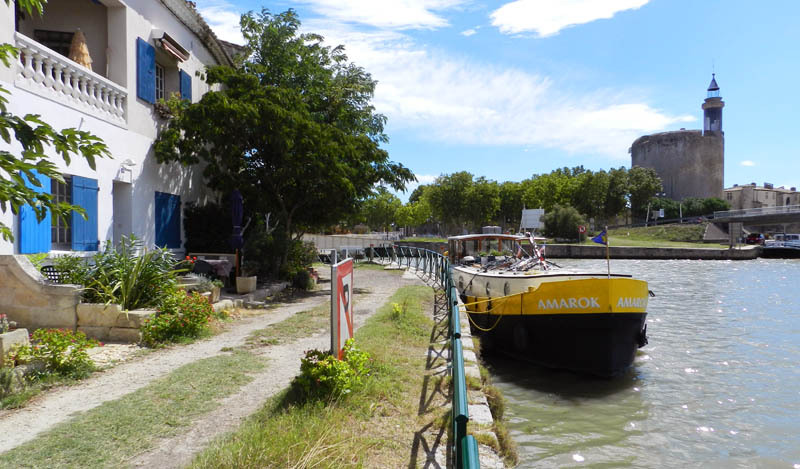 1:50 PM - Arr Jcn with the big Rhône, turned S.
This is the only spot we could find to tie up in Arles. 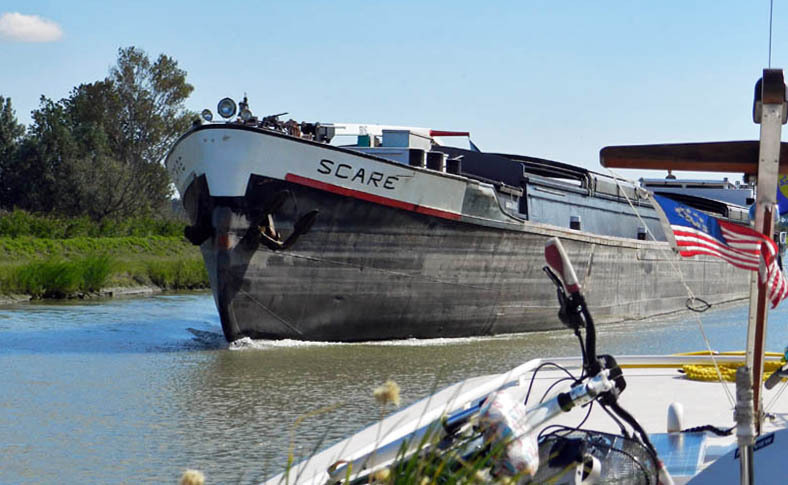 Not a user-friendly town for small boats!
. 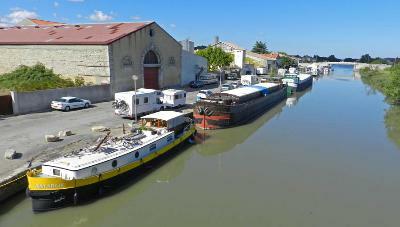 5:45 PM - into Beaucaire Lock - our 1st Rhône Lck. Cruise ship "Van Gogh". 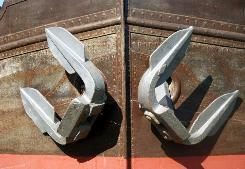 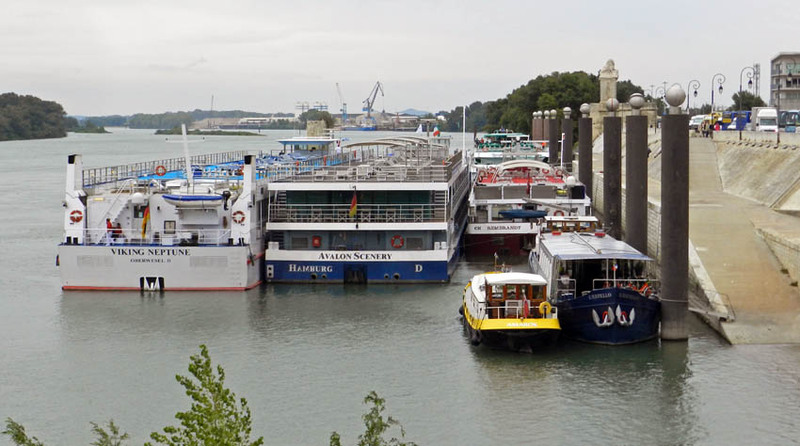 These huge cruise ships are designed to just fit into the Rhône giant locks. 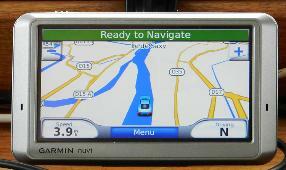 GPS shows a ground-speed of only 3.9 mph. The current on the Rhône is quite visible here. 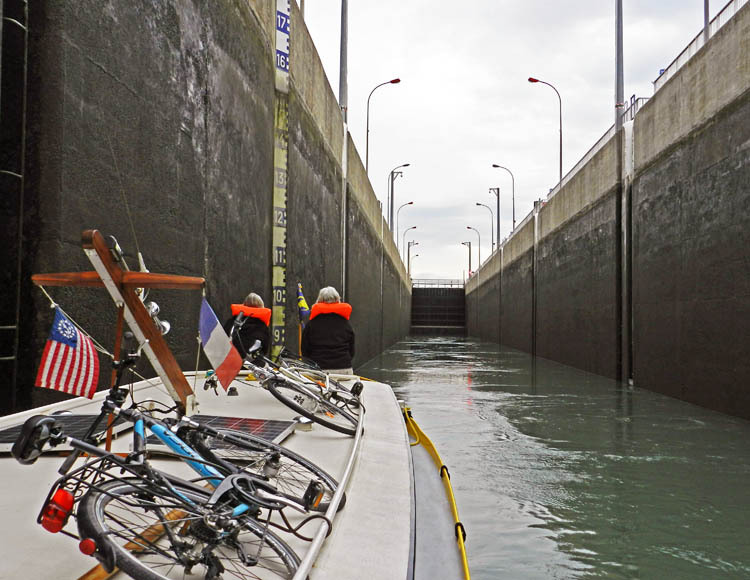 Our first Rhône lock . 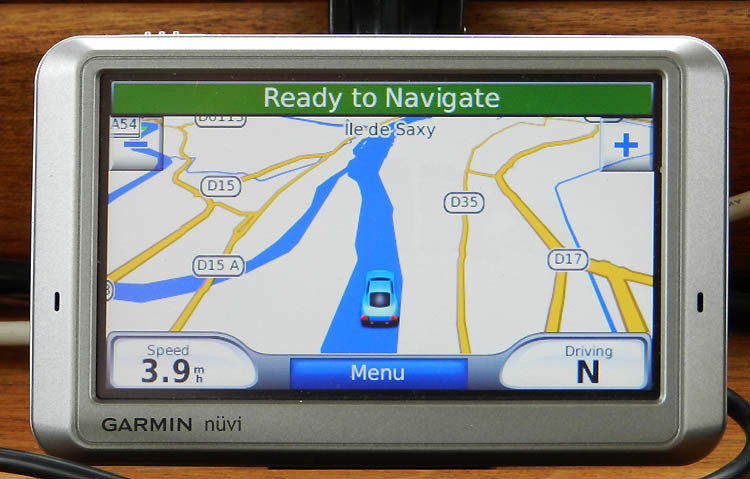 Awesome, but really quite easy. 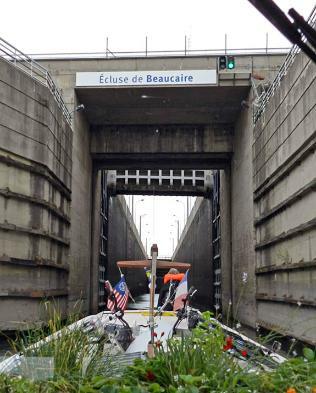 Entering the giant Ecluse de Beuacaire. 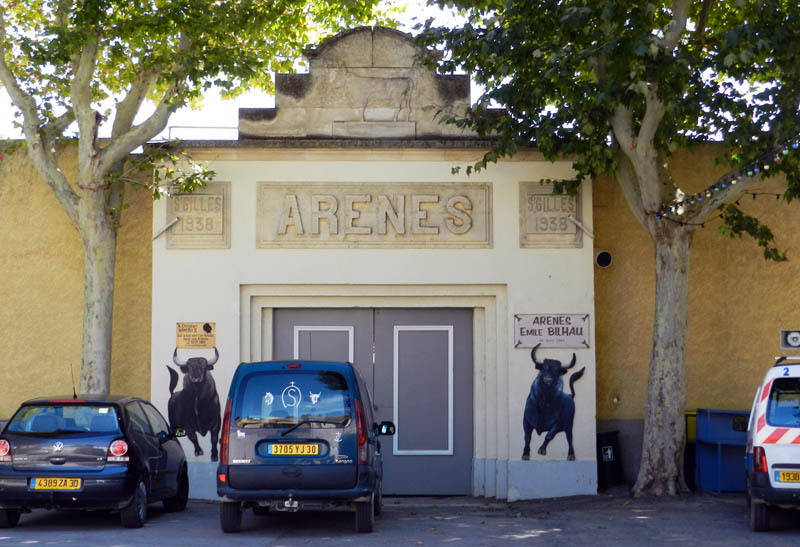 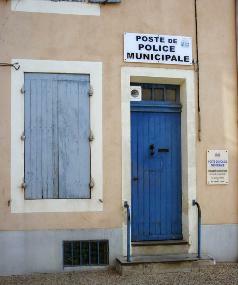 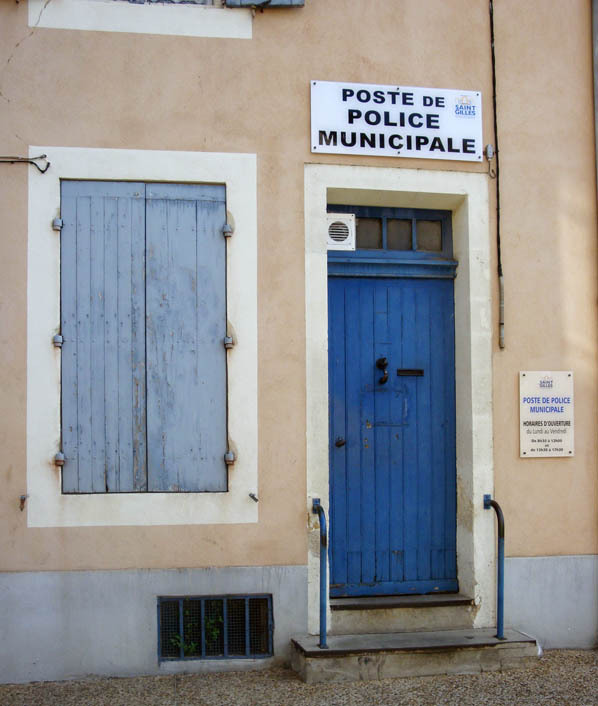 Our convenient (and free) tie-up spot in Aigues-Mortes. The tower, and port (under bridge) - and clouds - of Aigues-Mortes. 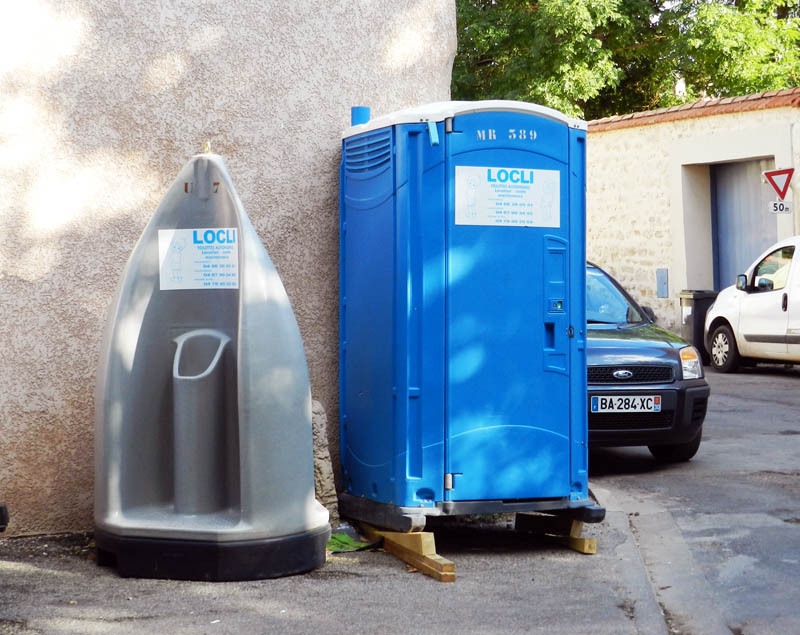 His & hers Porta Potties. Quite funny! 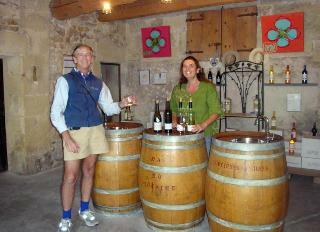 Tasting wine at the Mas de Notaire winery in Gallician. We liked it - and of course, bought some! 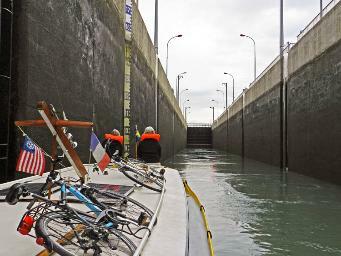 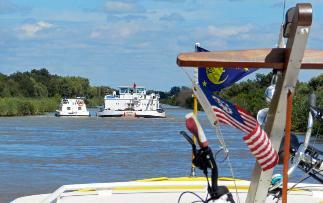 Close-up of barge behind us - see photo on left. 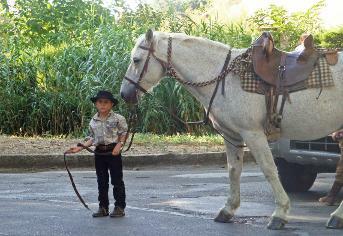 One of the (small) riders at the Fête de la St Gilles. 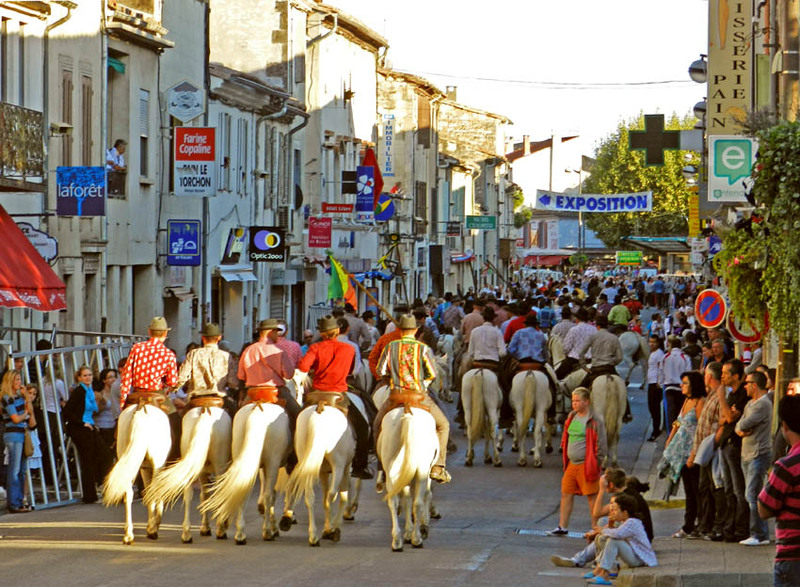 too much business during the Fête de la St Gilles! 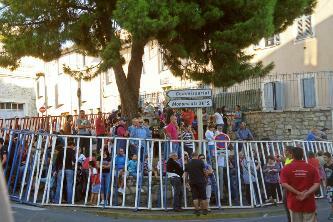 Spectators crowd behind metal guard-rails to watch the activities.